The Riot Armwarmers from Poizen Industries are a pair of cotton sleeves with thumbholes and mesh panels. 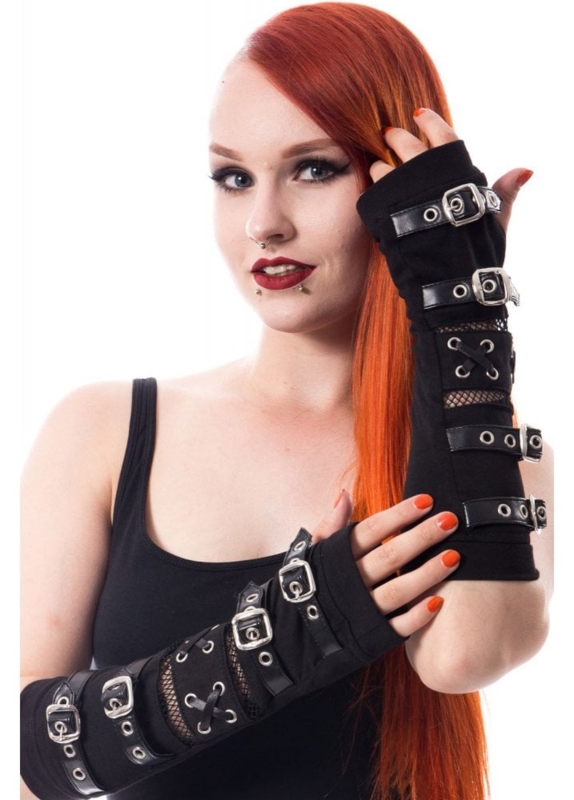 These alternative armwarmers are a great accessory for any look and feature buckle straps and cross lacing. Black Armwarmers with thumbholes Mesh panels Buckles straps and cross lacing 95% Cotton, 5% Elastane The Riot Armwarmers from Poizen Industries are a pair of cotton sleeves with thumbholes and mesh panels. 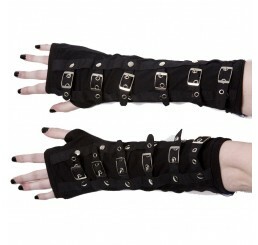 These alternative armwarmers are a great accessory for any look and feature buckle straps and cross lacing.